If you are interested in coming to be part of the magic please get in touch. We will send you the BOOKING FORM, T&Cs and RUNNING ORDER. 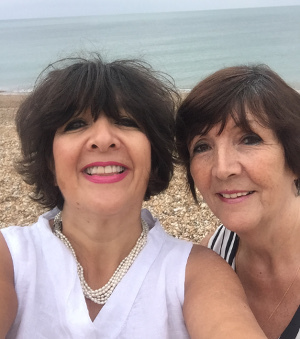 HOSTS for the weekend retreats are Belinda Harris-Reid and Brenda M. Watson + tea and cake, sea, luxury yarn in your hands, wonderful projects to make, laughter, wine, delicious food, knitting and more knitting and chat ... oh and paddling (if the ocean is warm enough). Traditional Norwegian 'Selbu' mittens are popular with knitters around the world. Traditionally knitted in black and white wool featuring traditional Norwegian 'fair isle' patterns but these mittens can be worked in a variety of colours for a modern look. 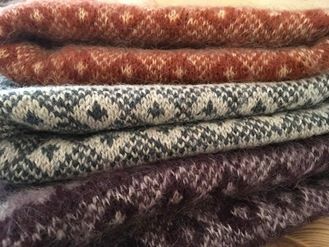 This workshop will teach you how to knit fair isle, how to knit in the round with a circular needle using the magic loop technique and how to shape your mittens. Techniques taught in this class can also be used to knit traditional Latvian and Estonian mittens. 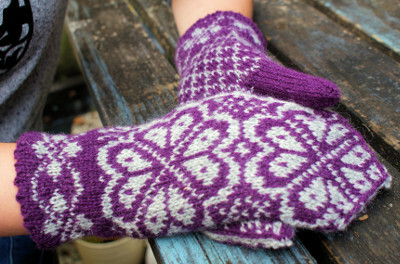 You will get a Selbu-inspired mitten pattern to take home. Please bring: 4ply yarn, 3.25mm circular needle (80cm long). Skills needed: Knit, cast on and cast off. BRIOCHE; thick dense reversible ribbed fabric; worked in two colours and slipping alternate stitches means you work one row twice. You will need: 2 x 100g of DK (225m/100g) in two colours (total of 200g) - one 100g hank of undyed yarn will be in your goodie bag. You can either bring your own contrast yarn to work with or buy 100g hank of DK from BHR's yarn collection. You will also need 4mm short (50cm) circular needles (the design is worked forwards and backwards not in the round). Alison Crowther-Smith is an experienced teacher, author and designer. She specialises in accessory design, felted hand-knitting with a really modern twist, and also in working with some of Rowan’s highly specialist yarns, for example, Kidsilk Haze. Beaded knitting is transformative. Get in touch with your glitter gene on this sparkling course. I teach you to knit with beads, with the beads threaded onto the yarn, in order to ensure that the beads sit perfectly straight, exactly where I want them, and on the surface of your knitting. On this course, you will have the choice of knitting a super-simple beaded wrap – basic stocking stitch, with a deep flounce, and beaded all over. Or a slightly more complex boa with beads on the edges. Both are knitted in Kidsilk Haze but you can easily vary the yarns up to fine DK weight and still use the beads. The boa is knitted sideways and has deep beaded inserts. Neither of the patterns is difficult though the boa is moderately complex. You need no special skills to take part in this course but just to be a reasonably confident knitter. You will also be shown many samples of my beaded knits and we will cover other imaginative ways to bring glamour into your knits including beaded Fairisle, beaded felt, I-cords with beads, and how to adapt an existing pattern to add a beaded feature such as at the cuffs of a sweater. You will need: •	For the Gleam Wrap: 3 x 25g balls of Rowan Kidsilk Haze or a similar super-fine kid-mohair yarn; c1,700 beads size 6 (or size 8, which are smaller); 5.5mm needles. Knitted flat. •	For the Eastwater Boa: Note: the shades need to both blend nicely and contrast enough. 2 balls of Kidsilk Haze in shade A – I used ‘Ultra’ sh no 659; 2 balls of Kidsilk Haze in shade B – I used ‘Ghost’ sh no 642; 572 beads, size 6 – I used crystal; 1 long circular needle, size 5mm (this is used instead of single pointed needles, not for knitting in the round, but we need it to accommodate the number of stitches). 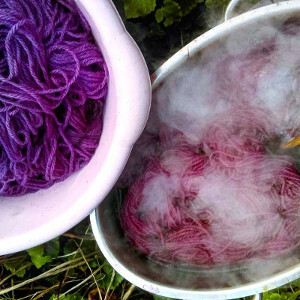 Lucy will spend the morning teaching principles and theory, doing prep for mordanting, and then later in the morning you can practice on a simple veg dye (red cabbage) which has diverse colours with modifiers, and isn't complicated or mucky. Then, in the afternoon, Lucy can guide you into autonomous dyeing with madder root and logwood. Logwood, madder and cabbage will give a good educational experience, and colours with variation. Mistakes are to be encouraged as a learning process - all the wool will be knittable and lovely. It will be merry and colourful, educational and such important skills passed on. Knit my amazingly fast, super-stylish Latvian Braid Hat! 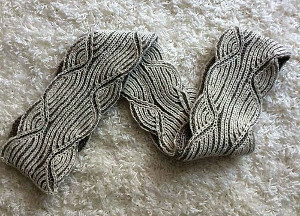 This design is knitted in the round using 2 shades of chunky-weight yarn. I will be teaching you how to knit it in the round, how to work the Latvian Braid colour work (probably the easiest colour work you will ever learn! And one of the most effective), how to decrease your hat at the crown, and how to adapt the design in a number of ways, such as making it bigger, smaller, changing the positioning of the Latvian Braids, and changing the basic stitches. My pattern gives you detailed notes on changing the size of the hat and design options. Or, you can just follow my pattern! Other than the Braids, the hat is rib and stocking stitch and it is really much easier than it may look. If you can cast on, and knit and purl, even if you have never knitted a hat, or colour work, or knitted in the round, you can knit this hat! •	2 shades of chunky weight yarn; if you had 2 balls/skeins each c120m long, you would have enough for 2 hats. To make one hat, you will need c80m of each shade. You can also use more than 2 shades if you want to use up left-overs of chunky yarn. 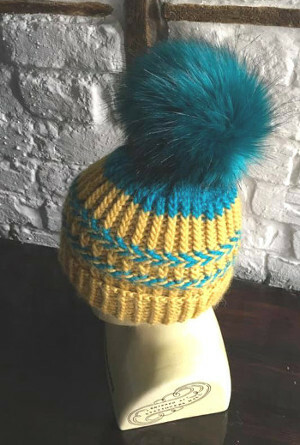 •	1 x large pom-pom per hat. •	a circular needle that is 6mm in gauge and 40cm long, measured tip-to-tip (NOT JUST THE CABLE BIT). •	a set of 6mm DPNs (for the crown). The base pattern is for a hat that will fit an average sized adult female head. The yarns given above reflect that. I knitted my hats on a 40cm circular needle, when measured from tip-to-tip, which is the fastest and easiest way to knit this project, and I finished them on DPNs at the crown, but I can also teach you to knit the whole hat on DPNs or, Magic Loop. If you want to knit ML, bring a 6mm circular needle that is 100cm long. If you want to knit it on DPNs throughout, bring 4 or 5 6mm DPNs that are a little longer than the usual DPNs. Hats are tension-critical and whilst I can perhaps do something about that with stitch numbers, if you know you are a tight knitter, please also bring your needles in size 7mm. If you know you are a loose knitter, please also bring your needles in size 5.5 or even 5mm. Mitred Squares (aka modular knitting or domino knitting) is a great patchwork technique, and easy to learn. 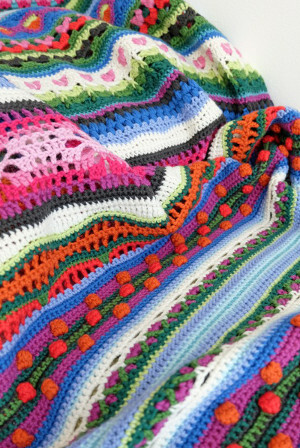 Squares are joined together as you knit so no seams to sew and stunning colour effects can be created using one yarn at a time. 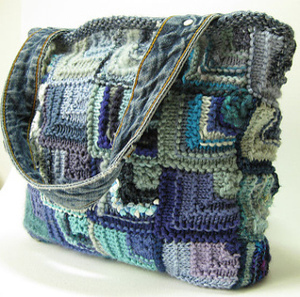 Learn the basic square and how to join it with others to create a spacious tote bag. The tote bag is worked in chunky-weight yarn so it’s quick to make and could be felted too. There are options for handles; the bag uses the straps to draw the top closed but it could also have sew-on handles. Alternative finishes and lining will be shown so you can finish the bag the way you want. Learn also how to use mitred squares for fashion accessories including scarves, cowls and wraps, for garments, and for home accessories. Yarn: 500m (545 yds) of chunky-weight yarn. Look on the ball band for the length of yarn (metreage/yardage) contained in one ball. These yarn amounts are intended as a guide only; you may use more or less depending on your knitting tension and the type of yarn. If in doubt, add an extra ball or skein. Suitable yarns: Variegated, self-striping or hand painted yarns will emphasise the different directions of knitting. 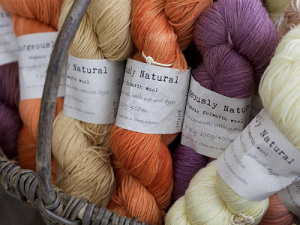 Or bring several colours of yarn, maybe oddments or stash yarns to make up your own colour mix. Handles: These aren’t necessary for the workshop; you may find it helpful to see the different options before buying any ready-made handles. I often make handles/straps from belts sourced from charity shops; two thin belts buckled together make a great shoulder strap for the draw-closed version shown. Needles: 6.5mm needles or size recommended on the ball band. To felt the bag choose a yarn that is 100% wool or has a high percentage of wool. 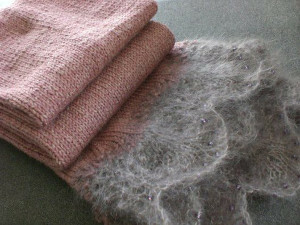 Some wools are machine-washable and will not felt; knit a small sample and make sure it felts before starting to knit. A list of suitable yarns will be available closer to the workshop date. Learn how to knit a basic garment with set in sleeves. This workshop will include how to read a pattern for a simple sweater, how to plan your garment to make the finishing details easier, how to shape for armholes and necklines, how to knit sleeves and sleeve caps and how to sew up your sweater and pick up stitches for necklines and button bands. During the two days you will be working on a mini sweater. Please bring: 100gr dk yarn and 4mm knitting needles OR 100gr 4ply yarn and 3.5mm knitting needles, sewing needle, calculator, notebook, pen or pencil. Skills needed: Knit, purl, cast on and cast off.